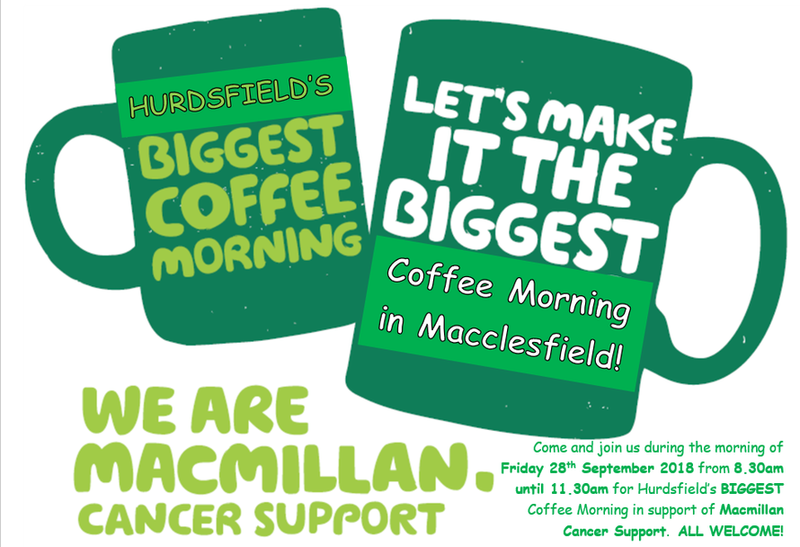 Hurdsfield Primary School will be hosting what we hope to be not only Hurdsfield's but Macclesfield's BIGGEST Coffee Morning in aid of Macmillan Cancer Support on Friday 28th September 2018 from 8.30 to 11.30am. Come and enjoy a cup of tea or coffee and some delicious cake (some of which will be baked by our own children in school) all for a small donation towards Macmillan Cancer Support. As a school and a community, we all know or have known someone who has had cancer and we feel we want to play our part on supporting individuals and families within our community who need support. Come on - lets make a difference!